Everyone seems to get caught up with showcasing the “perfect” abode. Decorating does not end with beautiful furnishings. Every day the décor needs to be cleaned and updated as new finds are brought in. It is a constant struggle to maintain the beautifully decorated neat and tidy home. Adorning the walls is the spot-on finishing touch to any décor. It is a challenge to find the perfect wall furnishings to complement your unique abode and personality. 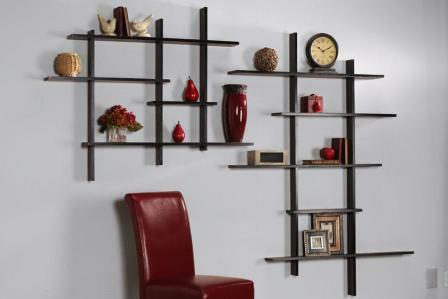 Shelves can add beauty to a wall displaying framed photos and sculpture. Shelves function to keep the abode in order. 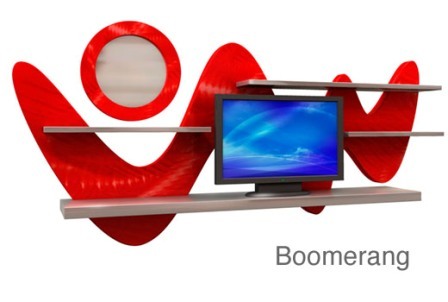 An interesting shelf can act as a wall sculpture along with be used to display objects, framed photos, and books. 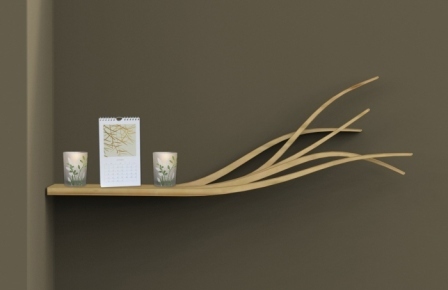 Homedecorators.com has a wonderful contemporary wall shelf collection, handcrafted in solid wood that is available in a variety of sizes, colors and finishes. 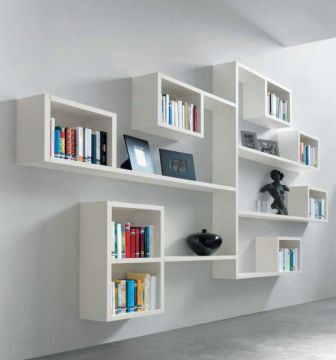 Books can become part of a work of wall art when placed on the Kartell Bookwormfrom module-r.com. Many sizes and colors are available to bend into a unique design for each application. Change the design with the seasons. 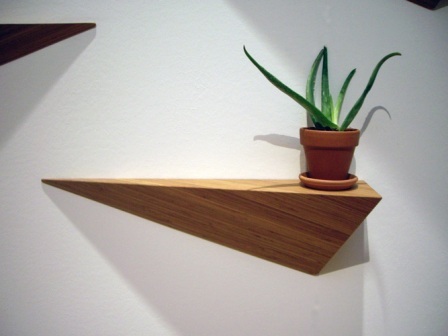 A shelf in the winddesigned by Olivia Blechschmidt, actually gives the sense of a simple wood shelf being blown in the wind with its asymmetry side flowing in branch like sections. 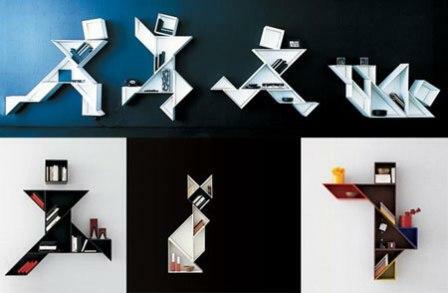 Lago (no, not LEGO) has cools shelves that make the owner the designer of his or her own creation. LagoLINEA, designed by Daniele Lago, is clean lined shelf components that is a minimalistic design for creating a usable wall sculpture. TANGRAM, designed by Daniele Lago, is “a square in seven pieces combined with imagination to make new shapes come to life”. Mix and match colors and make your own shapes to put together a puzzle of art that is totally functional. 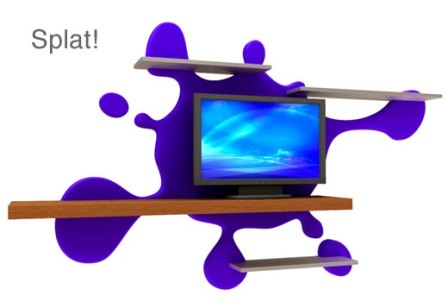 Fluidusa.nethas the coolest shelf/ media systems that speak the language of art. 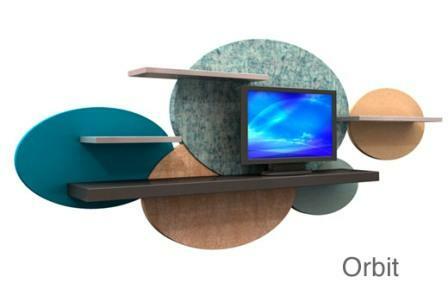 Fluid Metrois geometric in clean lines and circles of woods and metal. Fluid Earthunits are in shapes of sunbursts and boomerangs. Fluid Kidsis funky and bright with silhouettes of shapes and animals in lively colors. Not just for kids; these would work great in a fun family room, kitchen, or office. Let the walls speak to you and for you. 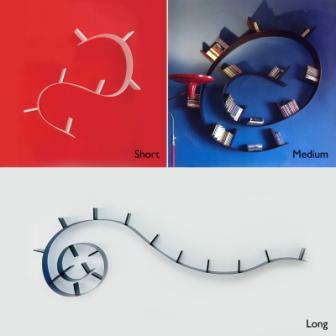 Have fun mixing and matching artwork with wall sculptures, and shelves. Do not shy from expressing yourself in the décor and never be afraid to dance!